Theories: Who is the John Hurt Doctor? You are here: Home / TV / Theories: Who is the John Hurt Doctor? This post contains speculation and if you have not seen The Name of the Doctor it will contain spoilers. 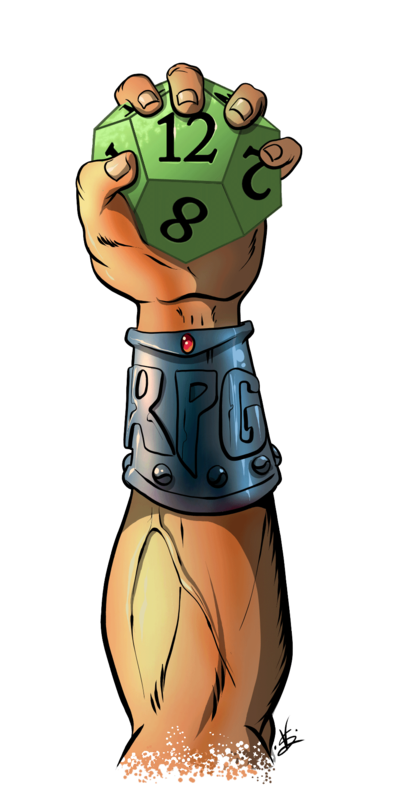 Some of the speculation in this post includes links to media coverage which claim exclusives and insider knowledge. You may consider these spoilers but experience shows that there will be a dozen pieces of conjecture, misinformation and Chinese Whispers to for each piece of real insider knowledge. Consider all such posts with a pinch of salt. If you’re worried about possible spoilers; don’t read. In the scene just before the companions, the Whispermen and The Great Intelligence entered the tomb TARDIS it was explained that the Doctor would have many names before the end; The Storm, The Beast and the Valeyard. The Valeyard is a character from Classic Doctor Who. He is believed to be an amalgamation of the Doctor himself from between his incarnation. 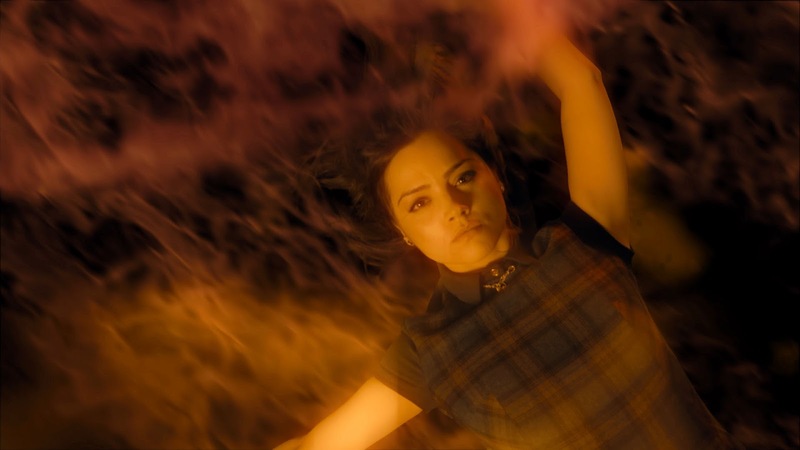 At the end of the episode the eleventh Doctor followed Clara Oswald into his own timeline in order to rescue her. By that point she had seen all the other faces of the Doctor. Just as she is about to depart, escaping the timeline, she sees someone else. The figure is looking away at first but then turns around. It’s not a face of the Doctor that we’ve seen before. 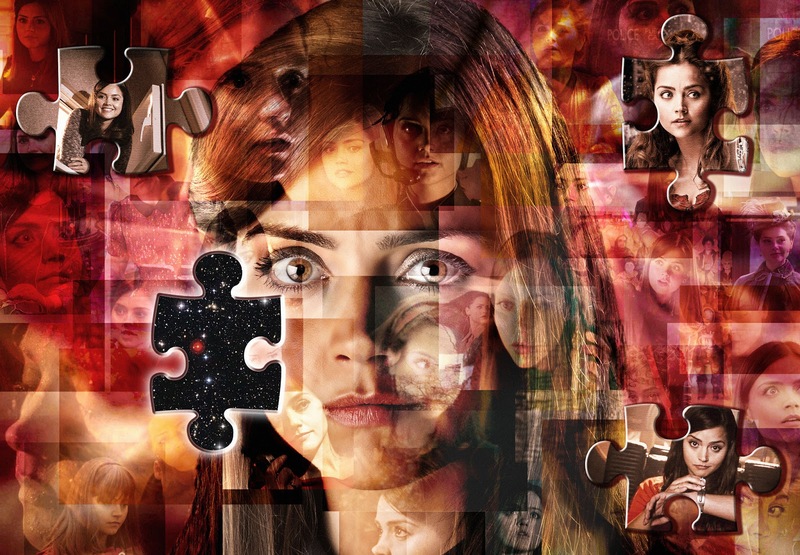 Clara: But I saw 11 faces, you’re the 11th Doctor! Doctor: I said he was me, I didn’t say he was the Doctor. John Hurt Doctor: What I did, I did in the name of peace and sanity. So could John Hurt be playing the Valeyard? That might fit the “he is me but not the Doctor” concept. This character may be the same Time Lord but a regeneration who did not use the Doctor alias. However, this would make the Valeyard the only future incarnation of the Doctor that Clara witnessed. Unless the Valeyard borrows from an early incarnation or the Valeyard is the only remaining future incarnation of the Doctor it seems unlikely that Clara would meet one, and only one, future Doctor while travelling back through the eleventh’s timeline. Can John Hurt really be playing another Doctor? There is a large part of the current Doctor’s life that we know happened but know little about; The Time War. The Doctor played a significant role in this cosmic event, he may even have been a General in the Time Lord armies, but we know little of the details. The ninth Doctor, played by Christopher Eccleston, was a reflection of the horrors of the war. He was an angry, guilty and troubled Doctor. 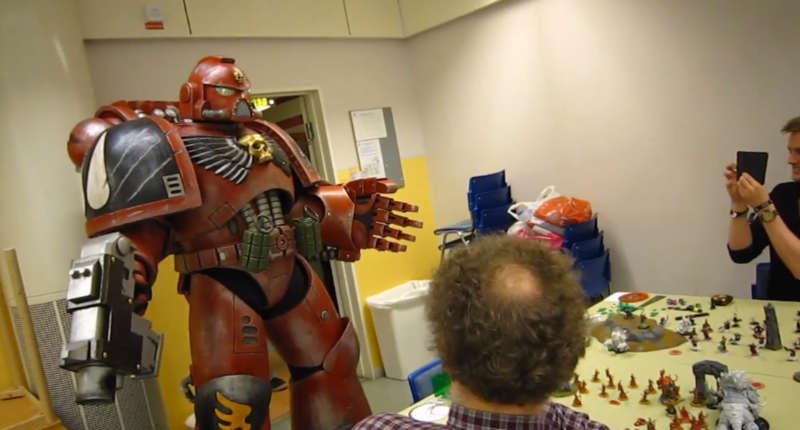 This is the Doctor after the Time War. This is the Doctor as the last Time Lord. More recently, in the episode Hide, the psychic Emma Grayling warns Clara Oswald that the Doctor (the eleventh) has a sliver of ice in his heart. Could it be that there is a whole, lost and forgotten Doctor from The Time War? Is this regeneration of the Doctor that sliver of ice from the Time War? Let’s look at the clues. 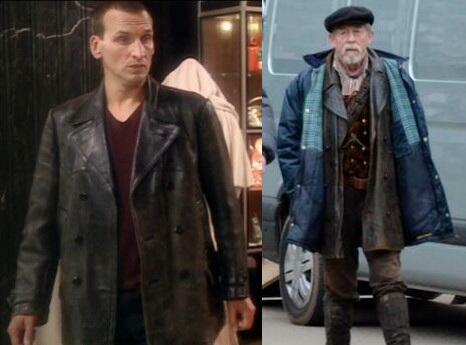 The clothes that John Hurt’s The Doctor wore did look like a combination of the eighth Doctor and the ninth. This fits the Time War period exactly. Could there have been a reincarnation between after that we don’t know about? That would make Christopher Eccleston the tenth Doctor, David Tennant the eleventh Doctor and Matt Smith the twelfth Doctor. Some Who fans might be tempted to rule out a missing regeneration out on the grounds that Time Lords only get 12 regeneration cycles. That piece of mythos, though, has already been wiped away in The Sarah Jane Adventures. We didn’t get much insight into why. We just know it doesn’t apply to the Doctor any more. Significantly, there are comments that apparently come from John Hurt himself and repeated in The Sun newspaper. The Sun isn’t always known for getting this sort of detail right and they cite unnamed sources so its best to apply some caution. According to the Sun’s report Hurt himself said he would be playing “part of the Doctor” in a “kind of trinity” with David Tennant and Matt Smith. That report was published on the 10th of May. In the same article, The Sun’s unknown source claims that Hurt will be playing a regeneration of the Doctor which has been forgotten about. John will play the real Ninth Doctor. Christopher Eccleston has always been thought of as the Ninth Doctor but now that John has been revealed as the Ninth Doctor, it shuffles Eccleston’s Doctor to be the Tenth Time Lord, Tennant the 11th and Smith the 12th. It also means the Doctor’s time is running out as he can only regenerate 12 times. The reason the Doctor has forgotten his ninth incarnation will become clear but it’s to do with the Time War and his shame over his behaviour in it. We’ll know that The Sun’s source had it right if there’s a scene with the tenth and eleventh Doctor using their sonic screwdrivers to confirm who Hurt’s character is. It’s worth considering that John Hurt’s regeneration, like the Valeyard, might be the same Time Lord but not really “The Doctor”. Same man, different name. True, the text at the end of The Name of the Doctor clearly introduced him as The Doctor but is that a simplification? Could John Hurt’s TIme Lord have another name? Steven Moffat, the writer behind all of this, foreshadowed some of this way back in the fifth season of new Doctor Who. In the episode The Beast Below an angry and upset Doctor discussed doing something so horrible that he would no longer be the Doctor. Liz 10: What are you doing? The Doctor: [Adjusting machinery] The worst thing I’ll ever do. I’m going to pass a massive electrical charge through the Star Whale’s brain – should knock out its higher functions, leaving it a vegetable. The ship will still fly, but the whale won’t feel it. Amy Pond: That’ll be like killing it. The Doctor: Look, three options: One, I let the Star Whale continue, in unendurable agony for hundreds more years; Two, I kill everyone on this ship; Three, I murder a beautiful, innocent creature as painlessly as I can. 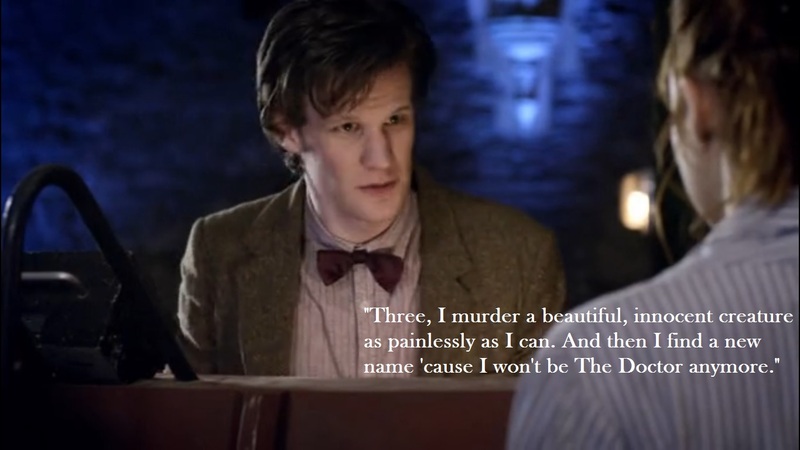 And then, I… I find a new name, because I won’t be The Doctor anymore. So, John Hurt’s The Doctor may be the 9th regeneration of the Time Lord who generally uses the name “The Doctor”. If this theory is correct then we’ll have to see whether he’s the actual 9th, an older 8th or a forgotten incarnation with a different name like the Valeyard. He could be a Watcher a sort of cross incarnation like the being that helped the Fourth Doctor regenerate. In this model, the Valeyard himself is a Watcher but an evil one who decided to make himself into a “real” person as it were. John Hurt is the 9th, not the 13th doctor. I believe that he, the not-Doctor stated his name. Think how they explained the origins of the the name “River Song”. Now, Hurt is not the DOCTOR, the STORM, the BEAST or, the VALEYARD, the he must have done what he had done in the name he in which he declarded, the Doctor’s name is ,PEACE AND SANITY (translated from Gallifryan). I would like to offer my opinion on who John Hurt is playing and explain how I came to this conclusion. He’s the duplicate 10th doctor but older. Think abut it David Tennant and Billie Piper are back for the first episode of next year and this would tie them in nicely. Plus it’s mentioned in Journey’s End he would age and die, hence the grave site in the name of the doctor and why he would be older and not instantly recognizable. Also he was the one who broke the promise associated with being named the Doctor and also in Journey’s End he did commit genocide. Total brain-freeze territory, this is. I’ve a feeling half of us will have gone mad by November. 1) He isn’t the first incarnation of The Doctor. As the Eleventh said, The Doctor is a promise he made to himself. Hurt broke that promise. Logically, you cannot break a promise you haven’t made, so Hurt isn’t the first incarnation. 2) He isn’t an older version of The Eighth Doctor. If he was, then they could have hired McGann and he would have accepted. Not only that, but all regenerations of The Doctor have very distinctive wardrobe choices. Always have, always will. Hurt isn’t dressed like McGann. 3) Likewise, he cannot be The Valeyard. If The Valeyard is a future Doctor, then he also has a very distinctive wardrobe. Hurt is not dressed like The Valeyard, therefore he is not The Valeyard. This might make sense if The New Doctor Who series is a complete reboot of the original, but it isn’t. It is a continuation. 4) Hurt was not the one that ended the Time War. That was Eccleston. As The Tenth Doctor told Rose in The Stolen Earth, when he first met her as the Ninth, he was one born out of war. 5) Hurt isn’t a Doctor from the future. The Eleventh knows exactly what he had to do “in the name of peace and sanity”. Yes, theoretically since he was back in his own timeline he could have looked ahead, but you know that he would never, EVER, do that. Why not? Because he’s The Doctor, that’s why! That’s something a human would have the temptation to do, never a timelord. 6) John Hurt himself gave it away that he was playing Doctor 8.5. Now you could argue to your hearts content against what I’ve said, but you’re going to be wrong. :p What we don’t know is when McGann regenerated into Hurt. My guess on that is that The Eighth Doctor died in the Time War, regenerated into Hurt who then spent his entire life cycle in the heart of war, never knowing contact of a human companion to keep him grounded. Only the end of November will tell. Bringing up TSE/JE is interesting, as it opens another theory that I came up with a couple of minutes after The Name of the Doctor finished. What if Hurt is the duplicate Doctor? Think about it. He committed genocide, destroying the Daleks. It could be said that he did it in the name of peace and sanity. Remember the real Doctors anger at this? It wasn’t the way the Doctor did things, it wasn’t ‘in the name of the Doctor’. He broke the promise. The duplicate Doctor could also age. No offence against Hurt, but the Whurt (Who+Hurt=Whurt) looked worn down and old (I’m sorry!) This theory does hold a lot of water, but maybe less than the ‘we all skipped nine’ one. The ninth doctor was born out of war. Perhaps the Hurt incarnation did a lot of stuff the Doctor didn’t approve of in order to end the Time War and then regenerated into the Ninth Doctor. I’ve thought about that and I definitely think that it was the NInth that ended the war. Both the ninth and the tenth were up front about destroying both the daleks and timelords in order to end the war, as well as some specific battles that he fought (Fall of Arcadia, etc). What Hurt’s doctor represents is something a bit different: a suppressed memory of an atrocity that he committed, like annihilating a whole galaxy of innocents beings. He was born in war, he died in war, never in touch with humans. 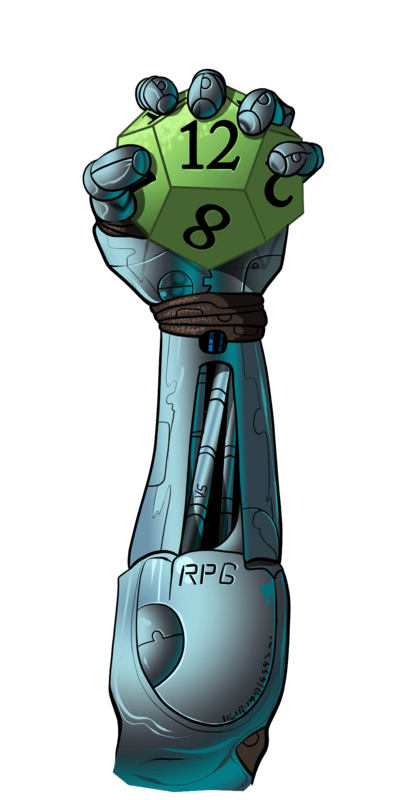 For several seasons it has been hinted at about how dangerous he could be without human companions with him. That’s why he loves us so much: because we can stop him. He knows this about himself. It’s why he left Gallifrey in the first place. He was afraid of what he might become. Can we please refer to him as Eccleston? I know it’s more to type, but the going theory right now is that Hurt is the 9th Doctor, so referring to Eccleston’s character as “9th” just confuses things. Hurt is the one that fought in the Time War (or, at least, ended it). He comes between 8 and Eccleston. Eccleston is 10, Tennant is 11, Smith is 12; however, they all keep referring to themselves as “9-10-11” because they don’t recognize Hurt as being a Doctor (see last episode of season 7 part 2). But that’s just a theory for now.. and it may still be the case that the established 9th Doctor is the 9th Doctor. Hurt’s timelord may never have used the name. Simple Solution: He is the man before he was known as the doctor. He carries the name of the doctor. He is the doctors biggest secret. Definitely wrong. The Doctor’s name is a promise, and he broke it. You cannot logically break a promise that you haven’t made yet. That’s the jist of the above. From the incarnation line but not “the Doctor”.